Fleep has a customized webhook for Confluence to post updates into Fleep conversations about different activities in Confluence. Create the conversation where you want to receive your Confluence updates. In that conversation open Conversation Settings > Integrations and click on the Add button and then Create on the next popup window to generate a new hook for Confluence integration. 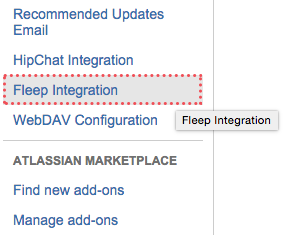 Install the Fleep add-on from Atlassian Marketplace for Confluence & enable it. 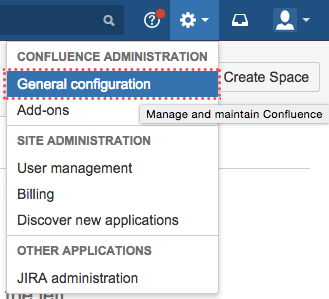 Log into Confluence and from the Dashboard select General configuration. From Confluence administration page left-menu select Fleep Integration. On the Fleep Integration page insert the hook URL you created in Fleep into the Hook URL entry box and click Save.